The Hortus is ideal for many types of receptions, parties and business meetings. The Chinese Tea House and the Grand Café The Plantage are official wedding venues for the municipality of Groningen . The Hortus offers a range of possibilities. 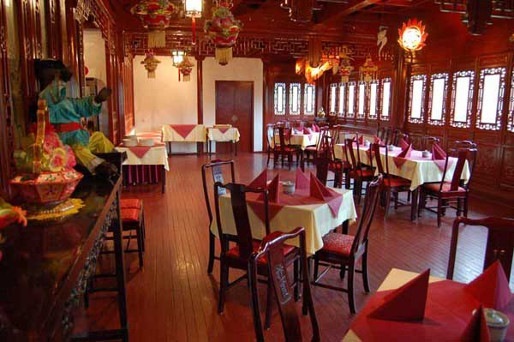 Upstairs in the Chinese Teahouse, the large hall and adjacent rooms can accommodate approximately 70 guests, and the downstairs hall can accommodate approximately 50 guests. The Grand Café De Plantage, located in the middle of the Hortus and offering a panoramic view of several gardens, can accommodate approximately 100 guests. The Chinese Teahouse is rented per half-day. A half-day rental costs €175, and a whole day €300. Rental after 5 pm costs €100 per hour. Rental of a beamer and screen is €35. Equipment such as a flip chart or a wireless microphone is available for a small fee.